The thirteen of the sixteen Rocky Mountain Rendezvous were held west of the Continental Divide. The 1829, 1830, and 1838 rendezvous were held east of the Continental Divide. Six of the sixteen rendezvous were held in territory belonging to Mexico. Except the 1826-27-28 rendezvous in Utah and the 1832 in Idaho, all of the rendezvous were held in Wyoming. 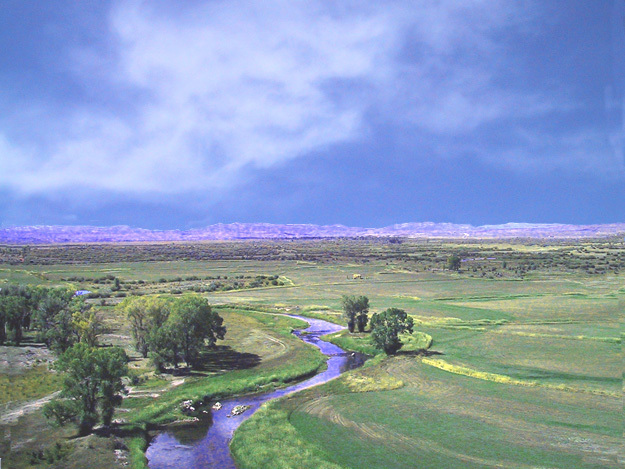 Six of the sixteen rendezvous were held on Horse Creek in the Green River Valley near present-day Daniel, Wyoming…there was no general rendezvous in 1831. All of the rendezvous were held in the territory of the Shoshone, or Snake, Indians. After the 1825 rendezvous, the next year’s rendezvous site was selected during the rendezvous. The selected sites were in a lush valley big enough for up to five hundred mountain men, several thousand Indians, and grazing and water for thousands of horses. 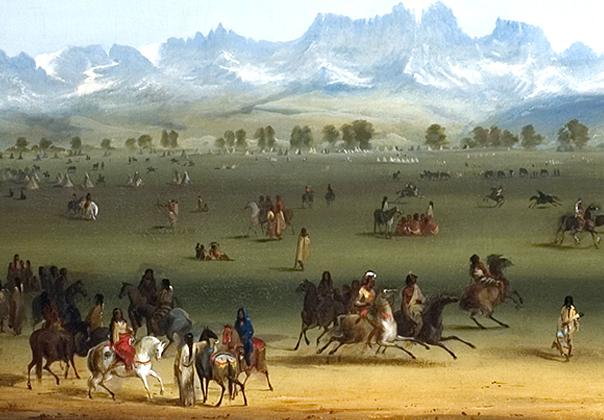 Members of the Shoshone, Crow, Nez Perce, and Flathead nations attended most of the rendezvous. Another consideration was the site be readily accessible to the supply trains from St. Louis. The rendezvous campsites were grouped around the various suppliers. Depending on the number of suppliers, the rendezvous sites could be spread out for several miles; no one point can be called the “site”. When my brother Bert Eddins and I took the pictures of the rendezvous sites, we took these factors into account. The longitudes and latitudes given represent the probable center of the rendezvous. James Beckwourth left this general description of the mountain man’s summer rendezvous. It may well be supposed that the arrival of such a vast amount of luxuries from the East did not pass off without a general celebration. Mirth, song, dancing, shooting, trading, running, jumping, singing, racing, target-shooting, yarns, frolic, with all sort of extravagances that white men or Indians could invent were freely indulged in. The unpacking of the medicine water contributed not a little to the heightening of our festivities. On the 1st day of july, all the men in my employ or with whom I had any concern in the country, together with twenty-nine, who had recently withdrawn from the Hudson Bay company, making in all 120 men, were assembled in two camps near each other about 20 miles distant from the place appointed by me as a general rendezvous, when it appeared that we had been scattered over the territory west of the mountains in small detachments from the 38th to the 44th degree of latitude, and the only injury we had sustained by Indian depredations was the stealing of 17 horses by the Crows on the night of the 2nd april, as before mentioned, and the loss of one man killed on the headwaters of the Rio Colorado, by a party of Indians unknown. Part of Ashley’s one hundred and twenty men were at least twelve men with Etienne Provost from Taos and possibly other Indians besides those defecting from Peter Skene Ogden of the Hudson’s Bay Company with seven hundred pelts. Accompanied by Jedediah Smith, Ashley left the day after the gathering and took his furs over South Pass and down the Bighorn Canyon to near present-day Thermopolis, Wyoming. 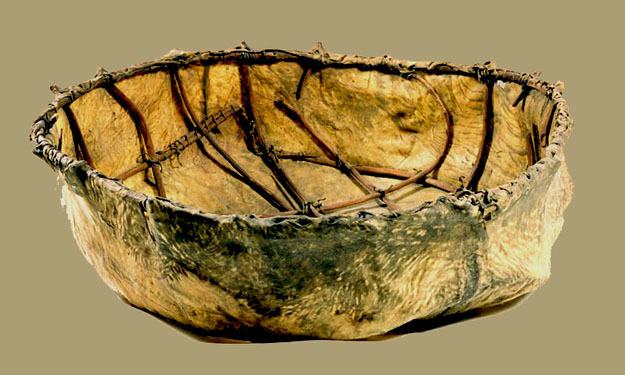 The furs were loaded into bull boats and floated down the Bighorn and Yellowstone rivers to the Missouri River where Ashley met the Atkinson-O’Fallon Expedition. General Henry Atkinson and Indian agent Benjamin O’Fallon had come up the Missouri in a paddle wheeler to negotiate treaties with the Missouri River Indian tribes. Ashley’s furs were loaded on the Atkinson-O’Fallon paddle-wheeler and taken to St. Louis. Jedediah Smith and Robert Campbell left St. Louis in late October with sixty men, one hundred and sixty mules, and twenty thousand dollars worth of trade goods. Snowed in on the Republican Fork of the Kansas River, Smith sent a message for Ashley to bring more mules; a third of Smith’s mules had died. Ashley responded with twenty-three more men and mules. When the combined party reached Green River, Dr. Gowns states sixty to seventy trappers joined the caravan. From the Green River Valley several routes have been proposed for the route to Cache Valley, but most accounts have the caravan following Bear River into the north end of Cache Valley. July 1st 25 Miles North along the shore of the Lake. Nothing material occurred. [July] 2nd 20 Miles North East Made our way to the Cache. But Just before arriving there I saw some indians on the opposite side of a creek. It was hardly worth while as I thought, to be any wise careful, so I went directly to them and found as near as I could judge by what I knew of the language to be a band of the Snakes. I learned from them that the Whites, as they term our parties, were all assembled at the little Lake, a distance of about 25 Miles. There was in [the] this camp about 200 Lodges of indians and as the[y] were on their way to the rendevous I encamped with them. [July] 3d I hired a horse and a guide and at three O Clock arrived at the rendezvous. My arrival caused a considerable bustle in camp, for myself and party had been given up as lost. A small Cannon brought up from St. Louis was loaded and fired for a salute. Dr. Morgan took the term cache to mean where goods from the 1826 rendezvous were cached. Dr. Morgan further speculated Smith’s direction of travel was up Box Elder Canyon and over Sardine into the south end of Cache Valley. Based on these assumptions, he located the 1826 rendezvous in the area of Hyrum, Utah. There are several fallacies to these assumptions. I will state six, and if anyone is interested, email me and we can discuss several others. 1) Dr. Morgan wrote that on Jedediah Smith return from California in 1827, he had gone to a cache with blacksmith tools in the mouth of Blacksmith Fork Canyon, hence this is where the 1826 rendezvous must have been held. 2) Dr. Morgan has Jedediah Smith going up Boxelder Canyon and over Sardine into the south end of Cache Valley near Hyrum. Utah…at the time Dr. Morgan wrote the definitive book on Jedediah Smith, he states in the preface the Smith Gibbs Map had not come to light. 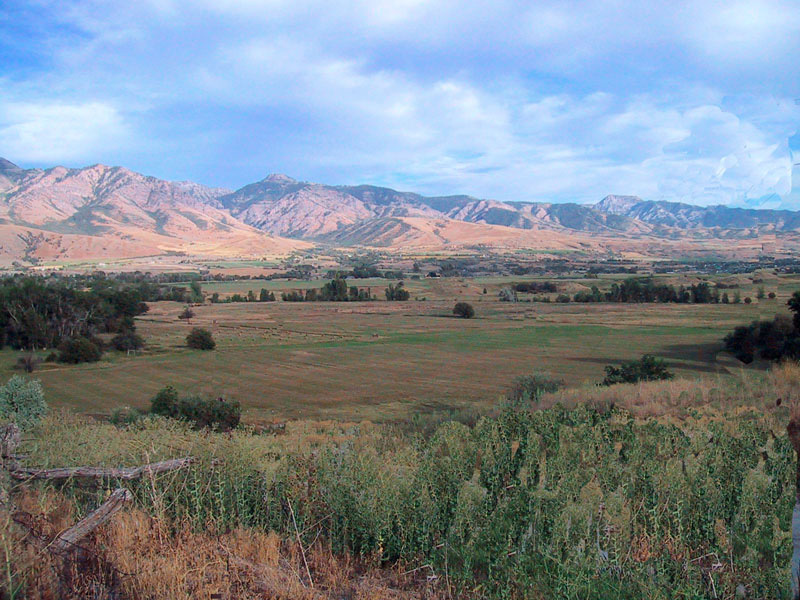 A few years later the Smith Gibbs map was found and shows Smith following the Bear River into Cache Valley a little Southwest of Cove, Utah. 3) From Dr. Morgan’s Blacksmith Fork location, it is steep rugged country and there is absolutely no way Smith, or anyone else, can ride a horse up Blacksmith Fork Canyon and arrive at the south end of Bear Lake (Sweet Lake) by three o’clock in the afternoon…present-day dirt road is approximately forty-five miles. Smith’s own words of the third would indicate the the 1826 rendezvous was somewhere else. 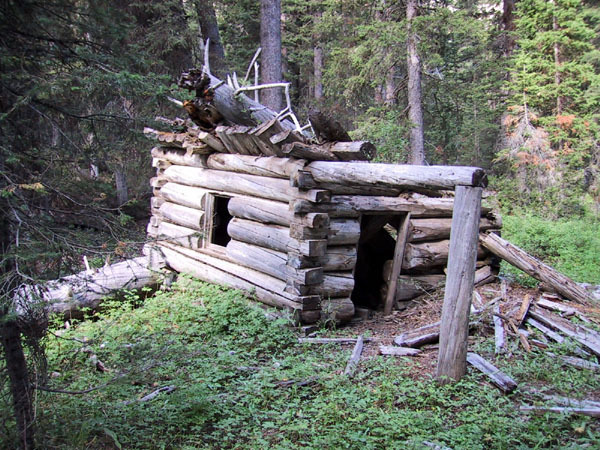 The most likely place is John H. Weber’s 1825 winter camp near Cove, Utah. 4) If Indians were traveling with their families, the trail had to be wide enough to pull at least a five-to-six foot wide travois, and this would be impossible up Blacksmith Fork Canon. 5) There was an Indian trail from Cache Valley up Indian Canyon to present-day Tony’s Grove in the upper end of Logan Canyon, and it would be relatively easy from there to Bear Lake. Indian Canyon is just southeast of Weber’s camp site. From Weber’s camp at Cove, it is roughly twenty-six miles to Bear Lake. I have rode a horse from Cove to Tony’s Grove in about six hours. 6)The 1826 rendezvous trade goods caravan followed the Bear River into the north end of Cache Valley. It is logical to assume the pack train would have stop at or close by John Weber’s winter camp at Cove, Utah. The trip from St. Louis had been a long hard journey; up to thirty men had deserted. 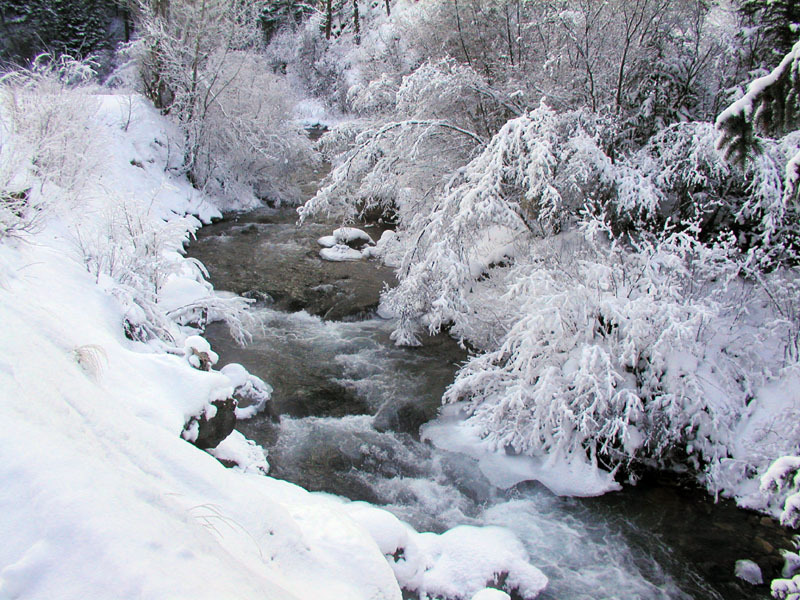 Why would the men re-pack over one hundred mules and leave a well-known establish camp and travel another twenty-five miles south to Blacksmith Fork Canyon, especially when blacksmith tools were far more likely at Cove where Bridger, an apprentice blacksmith, had spent the winter with Weber? … I hired a horse and a guide and at three O Clock arrived at the rendezvous. No one can ride a horse from the mouth of Blacksmith Fork Canyon and arrive on the south end of Bear Lake by three o’clock in the afternoon. As soon as someone does this please let me know and I will gladly make the appropriate changes. 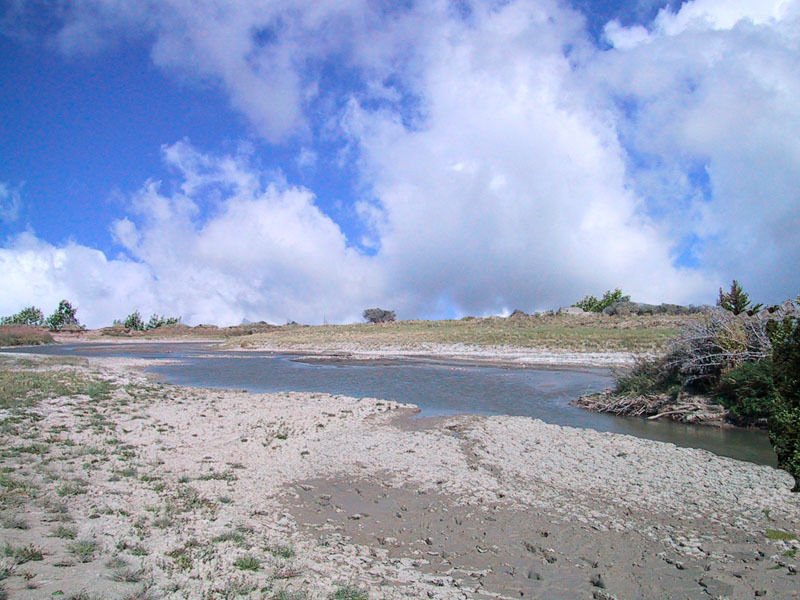 At the conclusion of the 1826 Willow Valley rendezvous, Ashley met with Jedediah Smith, David Jackson, and William Sublette on Bear River between present-day Georgetown and Soda Springs, Idaho. Ashley sold his interest in the Ashley Smith Fur Trade Company to the new company of Smith Jackson and Sublette. The previous year, he had taken Jedediah Smith as his new partner; Andrew Henry left the Ashley-Henry partnership in 1824. Ashley had made enough money from the Rocky Mountain fur trade to quit the mountains and pursue his interests in beaver pelts, trade goods, and politics. Ashley’s hired Hyrum Scott and forty-six men to take the 1827 supply caravan to the Sweet Lake (Bear Lake) rendezvous near present-day Laketown, Utah. The trade goods sent out this year by Ashley is the first listing of alcohol (Rum) being sent, but there are reports of it at the two previous rendezvous. With the caravan was a small cannon mounted on two wheels. This two-wheeled cart made the first wheeled tracks over South Pass. On the way back with the furs, Hiram Scott become ill, and was later abandoned. His body was found three years later near Scottsbluff, Nebraska. The 1827 rendezvous was the only rendezvous supplied by Ashley. Supplies and furs were marketed through Ashley, but Smith Jackson and Sublette were not obligated to buy all of the trade goods from Ashley. The agreement signed by them in 1826 was only binding if they contacted Ashley before March 1 of the year preceding the rendezvous. There were few trade goods for the 1828 rendezvous on Sweet Lake. Sublette had brought out the trade goods the previous fall, and they were pretty much gone. Joshua Pilcher arrived with a few goods from a cache of the previous year…the Pilcher, Lucien Fontenelle, Andrew Drips, Charles Bent, and H. H. Vanderburgh Company had brought trade goods out to the previous year’s rendezvous, but, Crow. Indians stole their horses near South Pass, and they had to cache the trade goods. In both the 1827 and 1828 rendezvous, there were fights with the Blackfeet near the rendezvous sites. There were no trappers killed in the first battle, but Lewis Boldue was killed in the 1828 fight. 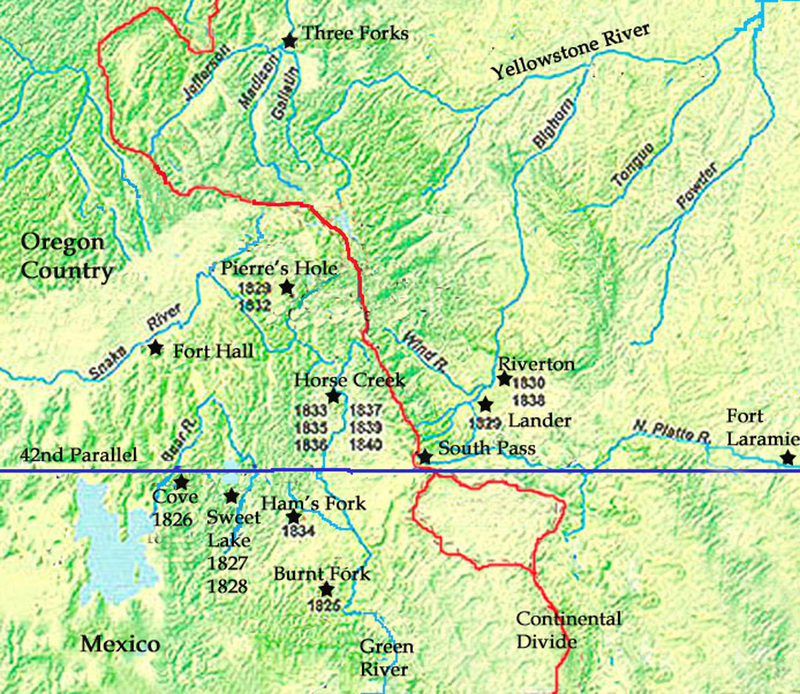 The 1829 rendezvous on the Popo Agie (Popoasia, Little Wind River) north of Lander, Wyoming was the first rendezvous to be held east of the Continental Divide. There was a small gathering of mountain men on the Popo Agie, and as soon as the trading was concluded, Sublette left with the remaining trade goods to find his partners, Jedediah Smith and David Jackson. Sublette traveled over Togwotee Pass into Jackson Hole and then over Teton Pass into Pierre’s Hole. Sublette found Jedediah Smith, who had been in the Oregon Country for two years, and David Jackson. Robert Newell recorded there was one hundred and seventy-five mountain men at this second rendezvous. The 1829 Rendezvous is sometimes referred to as a split rendezvous. The 1830 supply caravan, led by William Sublette, consisted of eighty-one men on mules, ten wagons drawn by five mules each, two Deerborn carriages, twelve head of cattle, and a milk cow. Sublette left St. Louis on April 10th and arrived in the Wind River Basin on July 16th. The supply caravan averaged fifteen- to twenty-five miles a day. 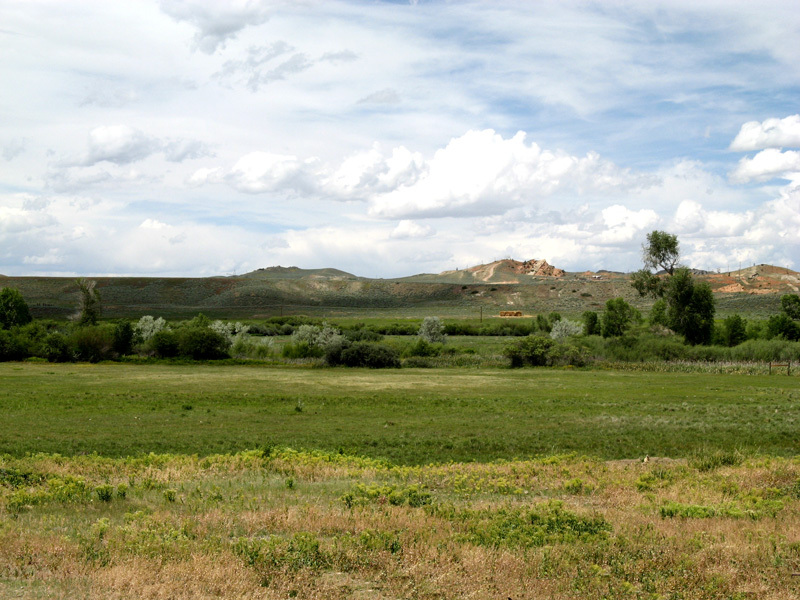 Sublette stopped for a rest on July 4th, 1830 at a large rock outcropping on the Sweetwater River. Sublette named the rock Independence Rock. The Smith Jackson and Sublette firm collected one hundred and seventy packs of furs with a value of eighty-four thousand four hundred and ninety-nine dollars. This was the firm’s most profitable year, but the partners had concerns over the future viability of the fur trade. At the Riverton rendezvous of 1830, Smith Jackson and Sublette sold out to a partnership of Thomas Fitzpatrick, James Bridger, Milton Sublette, Henry Fraeb, and Jean Gervais. William Sublette remained the St. Louis supplier for the new Rocky Mountain Fur Company. Fitzpatrick, Bridger, Sublette, Fraeb, and Gervais named the new company the Rocky Mountain Fur Company. Although the term Rocky Mountain Fur Company is widely used in fur trade history, the period from 1830 to 1833 is the only time there was an actual company named the Rocky Mountain Fur Company. Word of Caution: If you are looking for the 1830 and 1838 rendezvous site, it is just south of Monroe Street in the southeast corner of Riverton, Wyoming. The map in Dr. Gowans’ book, Rocky Mountain Rendezvous, shows the site on the Wind River several miles northeast of Riverton. 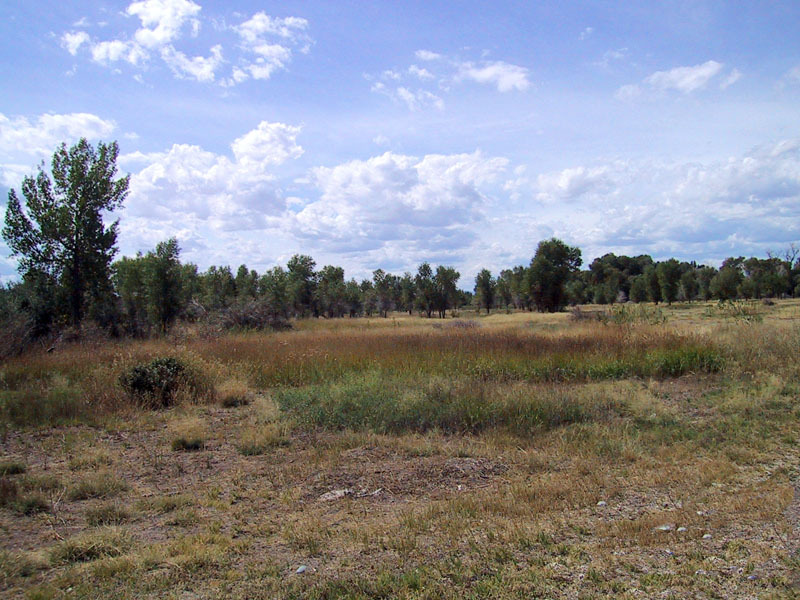 Thomas Fitzpatrick had gone to St. Louis after supplies, but Jedediah Smith, David Jackson, and William Sublette had left for Santa Fe…Comanche killed Jedediah Smith on the Cimarron River. After outfitting Fitzpatrick in Santa Fe, Sublette and Jackson dissolved their partnership. Jackson went to California, and Sublette returned to St. Louis. Sublette and Campbell were the main suppliers to the 1832 rendezvous, which was held in Pierre’s Hole a valley below and west of the Tetons. When William Sublette renewed his fur trade license, he was allowed four hundred and fifty gallons of whiskey for his boatmen, but was compelled to post a bond not to sell whiskey to the Indians. The route Sublette used to the Pierre’s Hole rendezvous did not require the use of a single boatman. Mountain men from several different companies attended the rendezvous in Pierre’s Hole: Rocky Mountain Fur Company, American Fur Company, plus independent companies such as Bean and Sinclair, Gant and Blackwell, and Nathaniel Wyeth…Dr. Gowans places the main encampment of the Rocky Mountain Fur Company a little ways upstream from where Highway 33 crosses over Teton Creek on the south end of Driggs, Idaho. The Pierre’s Hole rendezvous was one of the largest rendezvous held in the Rocky Mountains. Mountain Man and Indian camps extended north from Darby Creek along the west side of the Teton Mountains to Tetonia, Idaho…an area of seven square miles, or more. It is estimated there were four hundred mountain men, one hundred and eight lodges of Nez Perce, eighty lodges of Flatheads, and over three thousand horses. Camps had to be spread out to keep the various mountain man and Indian horse herds separated. All the parties were now safely in. The lovely mountain valley was populous with the different camps. The Rocky Mountain and American companies had their separate camps; Wyeth had his; a company of free trappers, fifteen, led by a man named Sinclair from Arkansas had the fourth; the Nez Perce and Flatheads, the allies of the Rocky Mountain company and the friends of the whites, had their lodges along all the streams; so that all together there could not have been less than one thousand souls, and two or three thousand horses and mules gathered in the place. 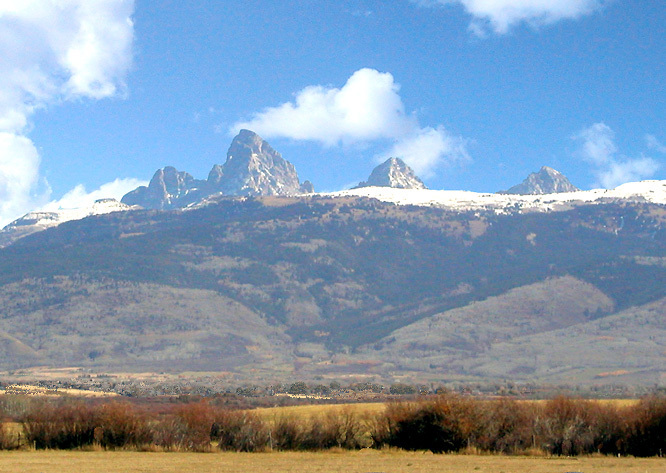 The most significant occurrence at the 1832 rendezvous was the Battle of Pierre’s Hole. This was the largest engagement between the mountain men and hostile Indians in the Rocky Mountains. 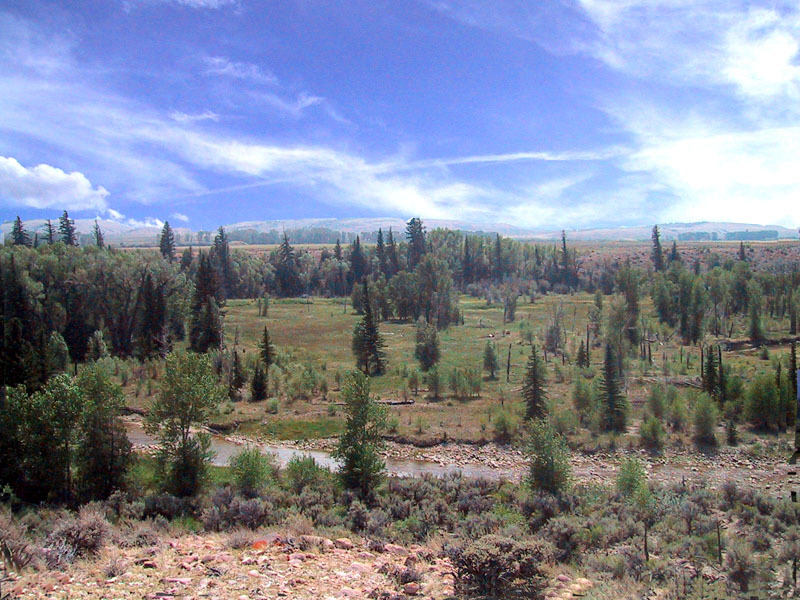 Dr. Fred Gowans located the Battle of Pierre’s Hole in the marshy area near the junction of Fox Creek and the Teton River ~N43° 39′ 3.1″ W111° 10′ 16″. Most journals refer to the Indians as being Blackfeet, but they were Gros Ventre. It should also be pointed out the Gros Ventre belonged to the Atsina Nation, as did the Arapaho, and were not part of the Blackfeet Nation as is often stated. On the trip going out we [Sublette and Campbell] had passed Captain Bonneville and his party on the Blue, and as we were coming back we passed him on the Green river and gave him an account of our fight with the Blackfeet. Bonneville’s account of the battle is the generally accepted one. The following is an edited version taken from The Adventures of Captain Bonneville by Washington Irving published in 1837. On the 17th of July, a small brigade of fourteen trappers, led by Milton Sublette, brother of the captain, set out with the intention of proceeding to the southwest. They were accompanied by Sinclair and his fifteen free trappers, and Nathaniel Wyeth and his men. On the first day, they proceeded about eight miles to the southeast, and encamped for the night. On the following morning, just as they were raising their camp, they observed a long line of people pouring down a defile of the mountains. They at first supposed them to be Fontenelle and his party, whose arrival had been daily expected. Wyeth, however, reconnoitered them with a spy-glass, and soon perceived they were Indians. Two trappers of Sublette’s brigade, a half-breed named Antoine Godin and a Flathead Indian rode towards the Indians. The Blackfeet halted and one of the chiefs advanced unarmed, bearing the pipe of peace. Godin and the Flathead met the Blackfoot chief half way. When the chief extended his hand in friendship, Antoine grasped it, and the Flathead leveled his piece and fired. Antoine snatched the chief’s scarlet blanket and galloped off with it as a trophy to the camp. The Indians immediately threw themselves into the edge of a swamp, among willows and cottonwood trees, interwoven with vines. Here they began to fortify themselves; the women digging a trench, and throwing up a breastwork of logs and branches. In the meantime, an express had been sent off to the rendezvous for reinforcements. Captain Sublette, and his associate, Campbell, were at their camp when the express came galloping across the plain. Every one turned out with horse and rifle. The Nez Perces and Flatheads joined. As fast as a horseman could arm and mount he galloped off; the valley was soon alive with white men and red men scouring at full speed. As Sublette approached the Indian fort, he perceived an Indian peeping through an aperture. Sublette fired and the ball struck the savage in the eye. While he was reloading, he called to Campbell, and pointed out to him the hole; “Watch that place,” said he, “and you will soon have a fair chance for a shot.” Scarce had he uttered the words, when a ball struck him in the shoulder, and almost wheeled him around. Campbell took him in his arms and carried him out of the thicket. The same shot that struck Sublette wounded another man in the head. There are four hundred lodges of our brethren at hand. They will soon be here–their arms are strong—their hearts are big–they will avenge us! After this speech was translated two or three times by Nez Perce and creole interpreters, and then rendered into English, the chief was reported to have said four hundred lodges of his tribe were attacking the encampment at the other end of the valley. A party was left to keep watch the fort; the rest galloped off to the camp. The next morning when their companions returned from the rendezvous with the report all was safe, they advanced towards the fort without opposition. The fort had been abandoned during the night. The bodies of ten Indians were found within the fort; among them the one shot in the eye by Sublette. The Blackfeet afterward reported they had lost twenty-six warriors in this battle. Five white men and one half breed was killed, and several wounded. Seven of the Nez Perce were also killed, and six wounded. Dr. Gowans’ book, Rocky Mountain Rendezvous, gives five different eye witness accounts of the Battle of Pierre’s Hole: Warren Ferris, George Nidever, Joe Meek, Nathaniel Wyeth, and Zenas Leonard…clerk for Joseph Walker. These chroniclers vary to such a degree it makes you wonder if it was the same battle. The journals do not even agree on how many were killed. Of the five eyewitness accounts, the cowardly act of Antoine Godin appears in Meek’s account and a distorted version in Nidevers. The other writers do not mention it at all. It should be pointed out these mountain man journals, with the exception of Leonard and the Adventure of Captain Bonneville, were written many years after the mountain man-writer left the mountains. A new book on the battle of Pierre’s Hole was published in 2010. Pierre’s Hole! The Fur Trade History of Teton Valley by Jim Hardee. Jim is the editor of the Rocky Mountain Fur Trade Journal and director of the Fur Trade Research Center. Published by the Sublette County Historical Society and the Museum of the Mountain Man, Pierre’s Hole! is an excellent source of information on the Rocky Mountain fur trade associated with the Teton Valley and the upper Snake River plains. Jim’s detailed research uncovered several unpublished accounts of the 1832 Pierre’s Hole Rendezvous. Pierre’s Hole is available online at the Museum of the Mountain Man in Pinedale, www.MuseumoftheMountainMan.com . 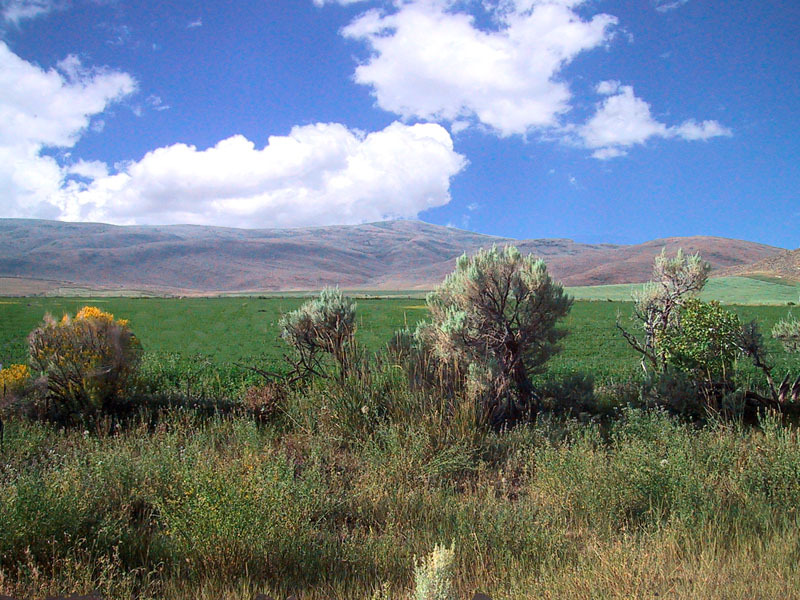 Not long after the Battle of Pierre’s Hole, July 24th, 1832, Captain Benjamin L. E. Bonneville and Joseph R. Walker led one hundred and ten men with twenty wagons over South Pass into the Green River Valley. These were the first wagons to cross South Pass on what would be the Mormon Trail and the Oregon-California Trail. 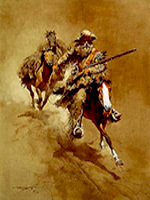 The Rocky Mountain Fur Company, Fontenelle and Drips of the American Fur Company, Bonneville and Walker, and the newly formed St. Louis Company of William Sublette and Robert Campbell were at the 1833 Horse Creek rendezvous. Campbell had brought out the yearly supplies along with forty to fifty men, including Sir William Drummond Stewart, Charles Larpenteur, Edmund Christy and Ben Harrison. Harrison was the son of William H. Harrison…soon to be President of the United States. William Stewart, a wealthy Scotsman, made several trips to the Rocky Mountains. Ben Harrison was sent west by his father to cure his son’s drinking problem. Bonneville and Walker were camped in the location of their 1832 camp. The American Fur Company camped at the junction of Green River and Horse Creek. The Rocky Mountain Fur Company camped on the Green River five miles below the American Fur Company. These three camps were spread out over the Green River over ten miles. A new company called the Rocky Mountain Fur Company and Christy was formed at the 1833 rendezvous. The new company, organized on July 20th, was to operate for one year. Edmund Christy had invested six thousand six hundred and seven dollars in the Rocky Mountain Fur Company. A highlight of the 1833 rendezvous was the following incident from Joe Meek (Victor). During the indulgence of these excesses, while at this rendezvous, there occurred one of those incidents of wilderness life which make the blood creep with horror. Twelve of the men were bitten by a mad wolf, which hung about the camp for two or three nights. Two of these were seized with madness in camp, sometime afterwards, and ran off into the mountains, where they perished. One was attacked by the paroxysm while on a hunt; when, throwing himself off his horse, he struggled and foamed at the mouth, gnashing his teeth, and barking like a wolf. Yet he retained consciousness enough to warn away his companions, who hastened in search of assistance; but when they returned he was nowhere to be found. It was thought that he was seen a day or two afterwards, but no one could come up with him, and of course, he too, perished. Another died on his journey to St. Louis; and several died at different times within the next two years. Immediately following the visit of the wolf to camp, Captain Stuart [Stewart] was admonishing Meek on the folly of his ways, telling him that the wolf might easily have bitten him. Meek replied, He was so drunk it would have killed him,–sure, if it hadn’t cured him! –alluding to the belief that alcohol was a remedy for the poison of hydrophobia. After the rendezvous broke up, Thomas Fitzpatrick and Milton Sublette entered an agreement with Nathaniel Wyeth to bring the supplies for the 1834 rendezvous. Nathaniel Wyeth left Independence on April 28, 1834. The trade caravan consisted of Milton Sublette, a Methodist minister, Jason Lee, two naturalists, Thomas Nuttall and Kirk Townsend, seventy-five men, and two hundred and fifty horses. William Sublette heard of the arrangement between Fitzpatrick and Wyeth to furnish supplies for the 1834 rendezvous a few days later. Sublette assembled his supply train, and when he caught up with Wyeth, Sublette and passed Wyeth’s supply caravan during the night. When Sublette reached Laramie Creek near where it empties into the North Platte River, he left several men to start construction on a fur trade post (Fort William – Fort John – Fort Laramie). …and much to my astonishment the goods which I had contracted to bring to the Rocky Mountain Fur Co. were refused by these honorable gentlemen. Suppliers at the 1834 rendezvous were the American Fur Company, Sublette and Campbell, and Nathaniel Wyeth. The American Fur Company was camped near the junction of Ham’s Fork and Blacks Fork where the above picture was taken. Sublette and the Rocky Mountain Fur Company were five to ten miles up Ham’s Fork and Wyeth was another five or so miles above them. After the rendezvous, a disgruntled Wyeth took his supplies to the Portneuf River near its junction with Snake River and built Fort Hall. Wyeth sold Fort Hall to the Hudson’s Bay Company in 1837. At the end of the 1834 rendezvous on Ham’s Fork, the Rocky Mountain Fur Company was dissolved and a new company Fontenelle and Fitzpatrick emerged. A year later, William Sublette sold Fort William to the Fontenelle and Fitzpatrick partnership and agreed to leave the mountains. Thus 1835 ended the major influence of the “Ashley men” on the Rocky Mountain Fur Trade. This same year (1835), Jacob Astor ended his fur trade career with the selling of his holdings in the western department of the American Fur Company to Pratte, Chouteau and Company of St. Louis. Pratte, Chouteau and Company was now the chief supplier for what was left of the Rocky Mountain fur trade. The remaining portion of Astor’s fur trade company was bought by Ramsey Crooks. Operating on the Upper Missouri and the Great Lakes area, Crooks retained the name American Fur Company. Accompanying Lucien Fontenelle with the 1835 supply train was two missionaries, Dr. Marcus Whitman and Samuel Parker. During the rendezvous, Dr. Whitman removed a metal arrowhead from Jim Bridger’s back. Bridger had been shot three years before in the Blackfeet country. The Nez Perce at the rendezvous were so receptive to having missionaries among them that Dr. Whitman returned to the East to recruit more missionaries. Samuel Parker left a description on the plight of the mountain man. The American Fur Company have between two and three hundred men constantly in and about the mountains engaged in trading, hunting and trapping. These all assemble at rendezvous upon the arrival of the caravan, bring in their furs and take new supplies for the coming year, of clothing ammunition and goods for trade with the Indians. But few of these men ever return to their country and friends. Most of them are constantly in debt to the company, and are unwilling to return without a fortune, and year after year pass away while they are hoping in vain for better success. On the way to the Oregon mission with their husbands, Dr. Marcus Whitman and Henry Spalding, Narcissa Whitman and Elisa Spaulding were the first white women to attend a mountain man rendezvous and to cross South Pass on what would become the Oregon Trail. With the Whitman’s was William Gray. His book, A History of Oregon 1792 – 1849, is a good source of information for dispelling the existence of a Fort Bonneville in the Green River Valley. At the conclusion of the rendezvous, the missionaries were escorted to Walla Walla by a Hudson’s Bay caravan under the leadership of Thomas McKay and John McLeod. McKay’s father, Alexander McKay, was with Alexander Mackenzie on his crossing to the Pacific Ocean in 1793, and a partner in the Pacific Fur Company. Alexander McKay was killed on the Tonquin at Nootka Sound. Accompanying Thomas Fitzpatrick with the supply train of 1837 were Etienne Provost, Sir William Drummond Stewart, and a young artist, Alfred Jacob Miller. Stewart had brought Miller to capture on canvas the activities of the rendezvous. Stewart later took Alfred Miller to Scotland where he painted large murals based on the sketches he had made in the mountains. During the sixteen-year history of the rendezvous, neither mountain man, traveler, missionary, or visitor left a more detailed description of the wilderness experience than did Alfred Jacob Miller (Gowans). Andrew Drips was in charge of the 1838 supply train, accompanying him was August Johann Sutter. Sutter went on to California and built Sutter’s Fort where gold was discovered in 1849. Drips was also accompanied by a large group of missionaries headed for Oregon and Sir William Drummond. Stewart was making his last visit to the mountains before returning to Scotland. The 1838 rendezvous is one of the best documented rendezvous; four missionary wives kept diaries. Come to Popoasia on Wind River and you will find plenty trade, whiskey, and white women. This Black Harris always created a sensation at the campfire, being a capital raconteur, and having had as many perilous adventures as an man probably in the mountains. He was wiry form, made up of bone and muscle , with a face apparently composed of tan leather and whip cord, finished off with a peculiar blue-black tint, as if gunpowder had been burnt into his face. Prices were high and some trappers slipped away from the rendezvous because they could not pay their debts. Credit was a thing of the past. The only account of the 1839 rendezvous is in the journal of Dr. Frederick A. Wislizenus, a German physician. Moses Harris led the train with only nine helpers…a far cry from Sublette’s train to the 1830 rendezvous. The last of the Rocky Mountain fur trade rendezvous was held in the Green River Valley of Wyoming. Andrew Drips, Jim Bridger, and Henry Fraeb led the caravan for the 1840 Rendezvous. Leaving Westport on April 30th, 1840, it was the last fur trade caravan to the Rocky Mountains. With Drips was Father Pierre De Smet and the family of Joel Walker, brother of Joseph R. Walker. Joel and Mary Walker with their five children were the first family to travel the Oregon Trail with the intent of farming the land. Doc Newell, Joe Meek, and Bill Craig accompanied Joel Walker to the Oregon Country. Meek and Craig were with Joseph Walker in 1833 when his party crossed the Sierra Nevada mountains into California. 1) By 1834, men hat fashion had turned from beaver to silk hats producing a drastic effect in the price of beaver. In the early 1830’s, beaver was worth almost $6/lb in Philadelphia; by 1843 the price was not even $3/lb. 2) Profit margins for the St. Louis trading firms did not justify the expense and risk of taking supplies to the rendezvous sites. 3) Nutria (coypu) from South America was as good as beaver for making felt hats and much cheaper to obtain. 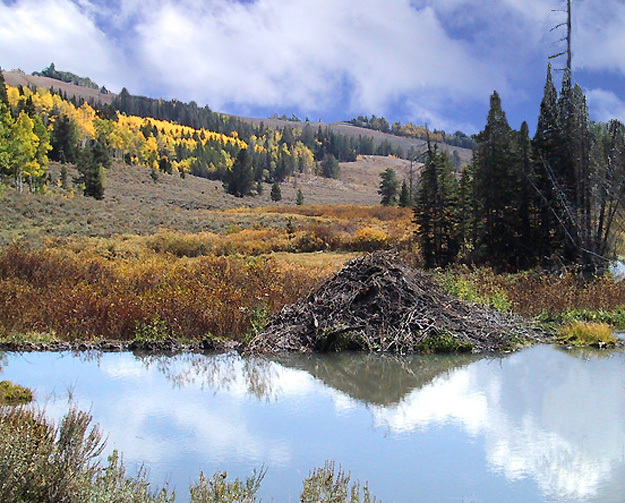 4) In the Rocky Mountains, the relentless competition of the late 1820s and early 1830s destroyed the beaver reserves, first in the accessible areas of the central Rockies, then progressively outward from this core into the southern and northern Rockies. David Wishart The Fur Trade of the American West 1907‑1840 stated that no other factor, even the collapse of the market after 1834, had a greater influence on the decline of the Rocky Mountain Trapping System than this blind destruction of the fur-bearing animals. There is a tendency to think the beaver fur trade ended with the collapse of the Rocky Mountain fur trade, but fourteen years later, Hudson’s Bay auctioned off five hundred thousand beaver pelts in London. Hudson’s Bay Company records show from 1853 to 1877 the company sold some three million beaver pelts. The typical trapper left the mountains with just about what he started with…nothing. The early fur trade company owners and the St. Louis suppliers reaped any profits from the fur trade. The typical trapper never got out of debt. With the end of the Mountain Man-Indian Fur Trade in the Rocky Mountains, the emphasis shifted to the Indian buffalo robe trade. In 1840 the American Fur Company sent sixty-seven thousand buffalo robes to St. Louis, and in 1848, one hundred and ten thousand robes and other skins along with twenty-five thousand buffalo tongues and great quantities of tallow. This was the way to live, free and easy, with time all a man’s own and none to say no to him. A body got so’s he felt everything was kin to him, the earth and sky and buffalo and beaver and the yellow moon at night. It was better than being walled in by a house, better than breathing spoiled air and feeling caged like a varmint. The Rendezvous Site article was written by Ned Eddins of Afton, Wyoming. There have been many requests for copies of pictures from the website. The best website pictures, and others from Jackson Hole, Yellowstone, and Star Valley, Wyoming, have been put on a CD. The pictures make beautiful screensavers, or can be used as a slide show in Windows XP. When ordering Mountains of Stone, request the CD and I will send it free with the book. The Winds of Change CD contains different pictures than those on the Mountains of Stone CD… click on..
Bailey, Thomas A., Kennedy, David M.. The American Pageant – A History of the Republic. D. C. Heath and Company. Lexington, Mass. 1994. Brown, Stephan R. The Astonishing Astronomer of the Great Northwest. Mercators World, The Magazine of Maps, Exploration, and Discovery. Vol. 6 March/April 2001. Mercator’s Bookstore, Eugene, Oregon. Chittenden, Hiram Martin, The American Fur Trade of the Far West, Bison Books, University of Nebraska Press, Lincoln, Nebraska, Volume I, 1986. Harrison, Clifford Dale. The Explorations of William H. Ashley and Jedediah Smith 1822-1829. Bison Books. University of Nebraska Press. Lincoln. Nebraska. 1991. Gray, William H. A History of Oregon 1792 – 1849. Harris & Holman; New York, New York. 1870. Gowans, Fred. Rocky Mountain Rendezvous. Perrigrine Smith Books Layton, Utah. 1985. Hafen, LeRoy R. (Ed.). Mountain Men and The Fur Trade. Vol. I-X. Arthur H. Clark Co. Spokane, Wash. 2000. 1966. Lavender, David. The Fist in the Wilderness. Bison Books. University of Nebraska Press, Lincoln, Nebraska. 1964. Mackenzie, Alexander. Voyages from Montreal, on the River St. Laurence, through the Continent of North America to the Frozen and Pacific Oceans in the Years 1789 and 1793. London, England: T. Cadell, 1801. Merrill J. Mattes. COLTER’S HELL & JACKSON’S HOLE The Fur Trappers’ Exploration of the Yellowstone and Grand Teton Park Region. Regional Historian, National Park Service. 1962. Morgan, Dale L.. Jedediah Smith and the Opening of the West. Bison Books, University of Nebraska Press, Lincoln, Nebraska. 1969. Newman, Peter C. Company of Adventures. Penguin Books, New York. 1987. Newman, Peter C. An Illustrated History of the Hudson’s Bay Company. Penguin Books Canada Ltd., Toronto, Canada. 1995. Oglesby, Richard Edward. Manuel Lisa and the Opening of the Missouri Fur Trade. University of Oklahoma Press, Norman Oklahoma. 1963. Rollins, Phillip A. The Discovery of the Oregon Trail. Bison Books. University of Nebraska Press, Lincoln, Nebraska. 1990. Russell, Osborn. Journal of a Trapper [1834-1843]. Bison Book. University of Nebraska Press. Lincoln, Nebraska. 1970. Sunder, John E. Bill Sublette Mountain Man. University of Oklahoma Press, Norman, Oklahoma. 1973.